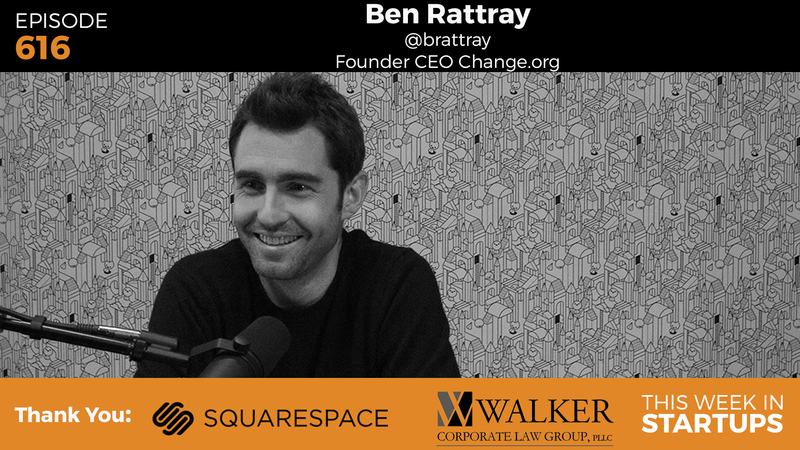 Today Jason sits down with Ben Rattray, founder and CEO of Change.org. It’s the launch of their mobile platform, Change Politics, where citizens can vote on issues and submit questions directly to candidates (so far, to Hillary Clinton, Bernie Sanders, Chris Christie, and counting!). Ben shares his insights from the pivots he’s experienced over the last 9 years, and also stories on how his platform became the change agent for many important issues, from school bullying to suicide, to the Boy Scouts finally allowing gay members, and more. A fascinating discussion about politics, society, and the power of the people.